Have you been putting off taking care of that nagging pain? Frustrated that you haven’t been able to find relief from traditional medical care? Perhaps you’ve even tried chiropractic. 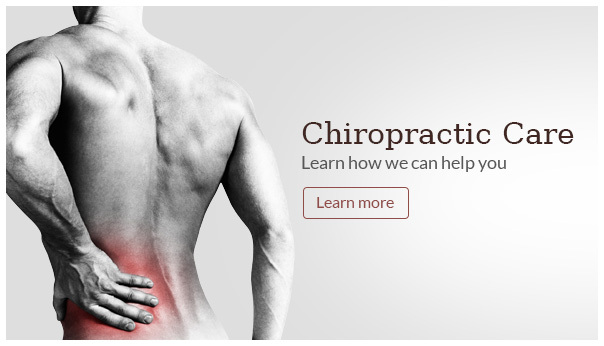 When other options have failed you, we’re prepared to help at Jefferson County Chiropractic. Madison chiropractor, Dr. Michael Lundergan can help you find relief. You’ll wonder why you didn’t come in sooner! Starting with your initial consultation and examination, we determine your specific needs and we create your care plan using techniques and therapies chosen specifically for you. At each visit, we’ll assess your progress and adjust your plan as necessary. We listen to your concerns and help you find the answers. You’ll be an active participant in your care, completing targeted exercises at home to strengthen problem areas and loosen tight muscles. We’ll work together to help you achieve the best results for the longest period of time. Once you’ve found relief, we’ll help you start your journey toward wellness and the best health of your life. Through a combination of healthy diet, regular exercise and continued chiropractic care, we’ll help you find true health. Why wait any longer? If you’re ready to find relief and start your journey toward better health, we’re here to help. Contact us today to schedule your first visit. Jefferson County Chiropractic is a great place to go. Super friendly people.